Although many people might have lost track of this event in the 14 hours of the Ken Burns documentary on the Roosevelts, the 1912 Presidential Election was one of the most important in the history of the United States. 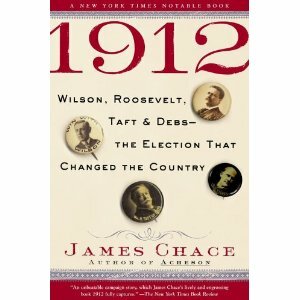 Which could be why James Chace, a Bard College professor, subtitled this book “Wilson, Roosevelt, Taft & Debs – The Election That Changed the Country.” This particular book tries to dig into the reasons for why this election was so pivotal, but it seems a little thin in parts. In 1911, Taft had the Justice Department investigate U.S. Steel for antitrust violations. 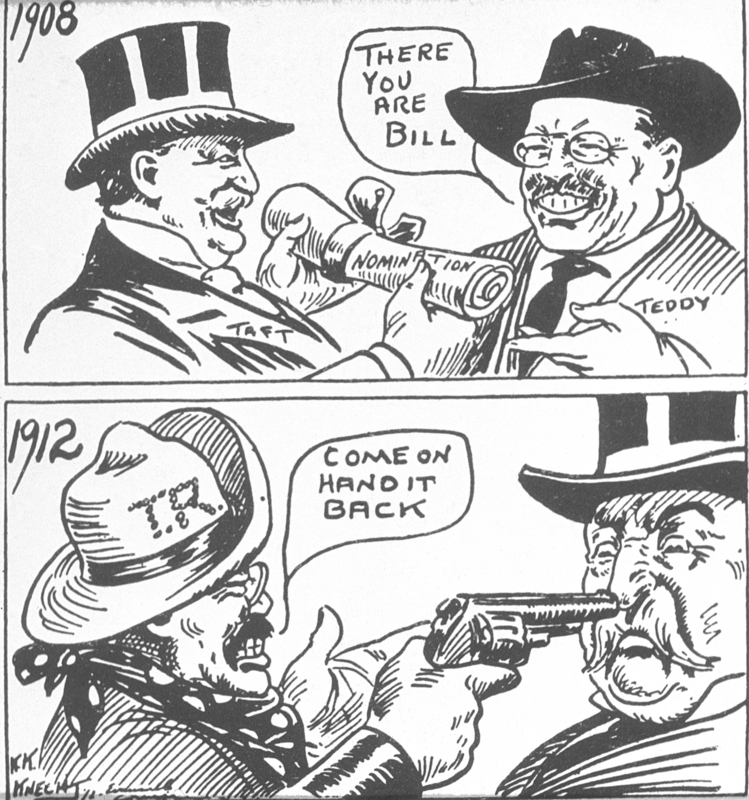 Roosevelt had well-known for being a “trust-buster”, but Roosevelt actually helped form that corporation. Roosevelt felt betrayed. It was time to run. Roosevelt’s plan was to make a good showing in the 13 states with primaries (New Hampshire didn’t have one at the time) and then the Republican party leaders would have to give him the nomination. 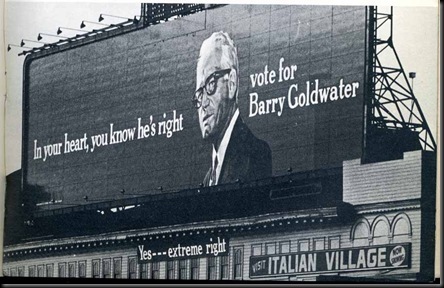 And Roosevelt succeeded in that regard by winning 9 of the last 10 primaries. Taft won just one, with Wisconsin senator Robert La Follette winning two others. On the Democratic side, the party, tiring of the vapid populism of William Jennings Bryan (who lost three times), had taken a shine to a former Princeton University president, Woodrow Wilson, who had been elected Governor of New Jersey in 1910. Speaker of the House Champ Clark was the favorite candidate of the Washington crowd. The Democratic convention took 46 ballots to nominate Wilson, who trailed Clark most of the time, until Bryan threw his support to Wilson late in the game. Thomas Marshall of Indiana was nominated for Vice President. Chace gives a lot of space to Socialist candidate Eugene Debs, almost writing more about him than Wilson, and certainly more than Taft. Labor tensions were very high at the time and socialism was not yet anathema to the American political scene. Roosevelt campaigned on a platform which he dubbed “the New Nationalism.” Roosevelt’s plan would be considered bold even today. Roosevelt wanted to establish a national health insurance plan (mostly for the elderly), set up a plan for the recall of judges (but not Supreme Court justices) who handed down decisions the people disagreed with, as well as increasing government regulation of business. Wilson countered Roosevelt with a plan known as “the New Freedom.” Wilson’s plan was somewhat progressive, although not as much as Roosevelt’s. The centerpiece of The New Freedom was the establishment of a national banking system, which would ultimately become the Federal Reserve System. Wilson tried to present himself as an intellectual and progressive, while trying to make people forget that he espoused segregation and in a recent book described Eastern European immigrants as inferior to others. Taft didn’t campaign much, figuring that he was doomed. But, he knew that as long as he was in the race, it would be nearly impossible for Roosevelt to win. So, he had that. Taft’s Vice President, James Sherman, died in late October, and he was replaced by a different Ivy League president, Columbia’s Nicholas Murray Butler. Roosevelt almost didn’t make it through the campaign as he was shot by a potential assassin in Milwaukee. Fortunately for Roosevelt, the wound was not serious nor did it cause a serious infection. The election was not particularly close. Wilson won the popular vote with a little over 6 million votes, although it was only 41% of the total because of the three-way race. Roosevelt won 27% of the vote and Taft won 21%. Wilson won 40 of the 48 states, Roosevelt won 6, and Taft won just 2 (Vermont and Utah). Taft holds the distinction of having the worst showing of any incumbent President in terms of Electoral Vote totals and Popular Vote percentage. The Progressive Era is one of the most fascinating times in American History. Nearly everything in America changed. Women’s suffrage was on its way in. Support for Prohibition was growing. Immigration from Eastern Europe was transforming American cities. 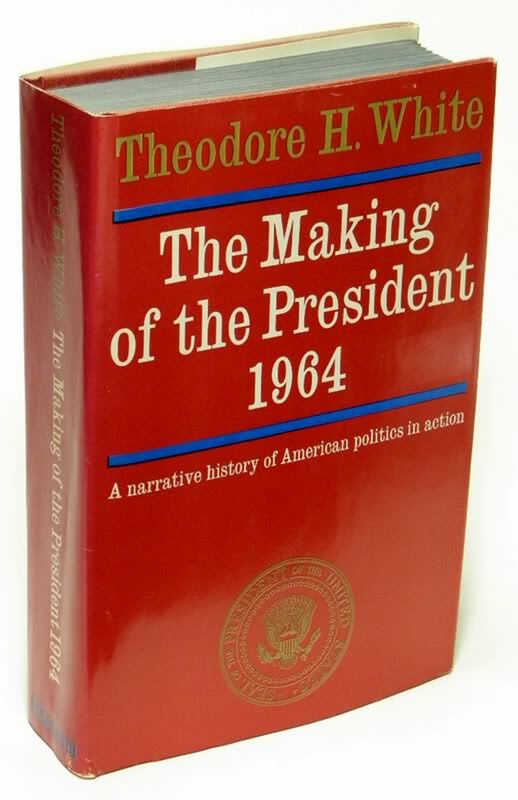 If you just want a brief overview, this book will suffice, but it seems that there could have been much more.